Authorized Polylast Dealer, JW Surfacing sponsors Professional Rodeo Steer Wrestler and Team Roper, Cody Cabral. Cody was born and raised in Hilo HI, grew up ranching, going to local rodeos and High school rodeos. He moved to Oregon in 2007 and attended college in Walla Walla, WA. Qualified for the national high school rodeo finals 3 times and the college national finals rodeo 2 times. Bought my professional rodeo card in 2012. 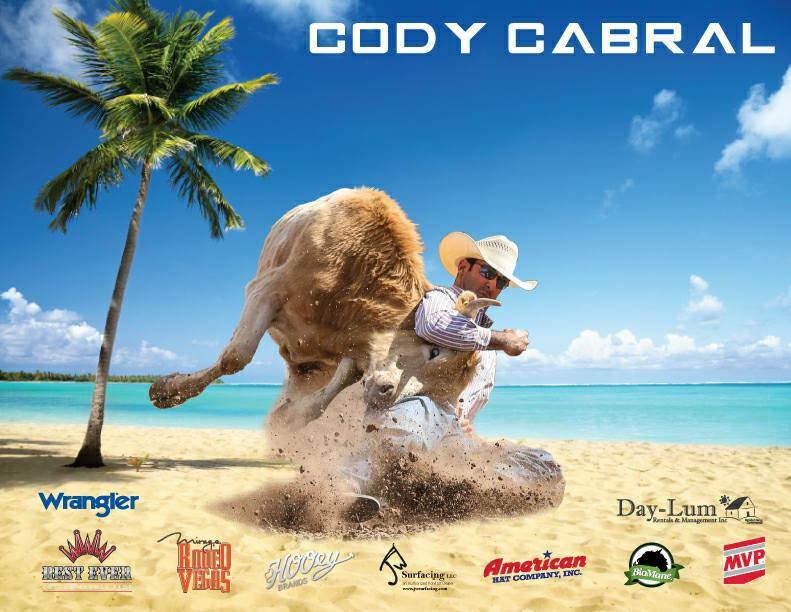 You can see Cody compete at the National Finals Rodeo (NFR) in Las Vegas through December 10th. While you’re there, look for the JW Surfacing patch on his arm! One of the most popular variations of Polylast Horse Flooring is a completely porous surface called Comfort and Safety Flooring (C&S Flooring), that allows fluids to flow through and follow the contour of the sub surface. Polylast C&S Flooring completely eliminates the need for any bedding, saving you time and money on purchasing bedding, labor, installation, and removal. Also it means your horses will be more comfortable and breathe cleaner air. Polylast Horse Flooring is non-slip, reduces leg impact shock and concussion on horses hooves, which means that even horses with hoof and leg soreness are more stable and comfortable. Since horses don’t have to strain to maintain their footing they can be more relaxed, and since Polylast Horse Flooring is a noise suppressant, a quieter ride can reduce stress in a horse trailer. Finally, Polylast Horse Flooring is infused with Microban® Antimicrobial Technology to help prevent the growth of damaging bacteria, as well as inhibit stains and odors caused by bacteria. All while staying cleaner longer between washings! Polylast Horse Flooring is ideal for horse trailer flooring, wash rack flooring, Veterinary clinic flooring, stall lining, and many other equine applications.